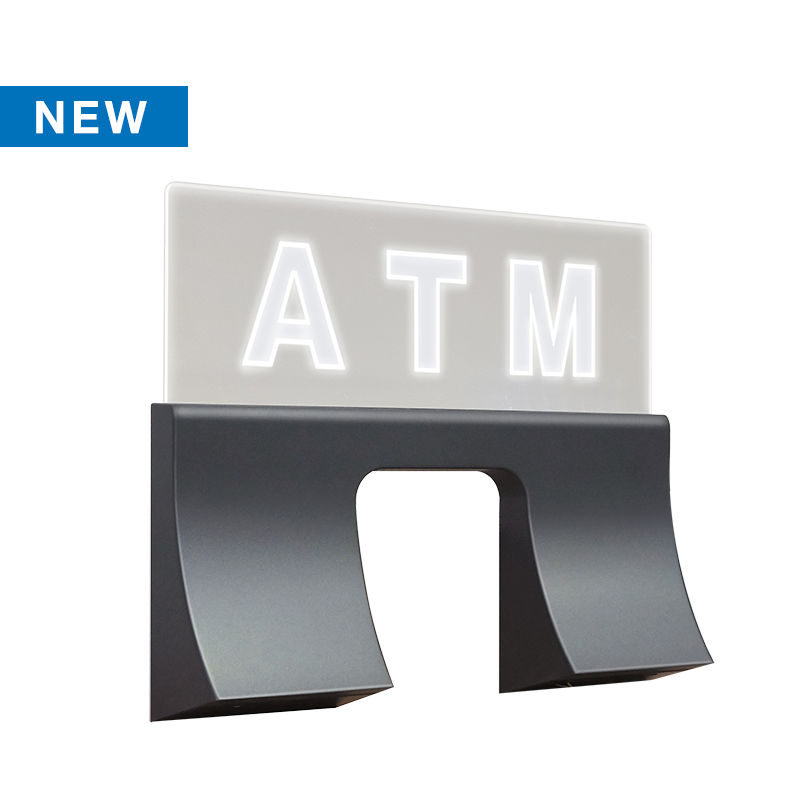 This single sided topper mounts to the top of your ATM and plugs into your ATM's power supply, eliminating the need for an additional power outlet. This topper is made out of acrylic with LED back light with letters "ATM". This toppers comes with a flat base adapter to fit older Genmega ATM machines. This single sided topper mounts to the top of your ATM and plugs into your ATM's power supply, eliminating the need for an additional power outlet. This topper is made out of acrylic with LED back light with letters "ATM". This toppers comes with a flat base adapter to fit older Genmega ATM machines.